I have three circles with equal radius ($r$). I want to formulate the bottom and topmost point of their intersection as a function of $r$. Browse other questions tagged geometry circles or ask your own question. 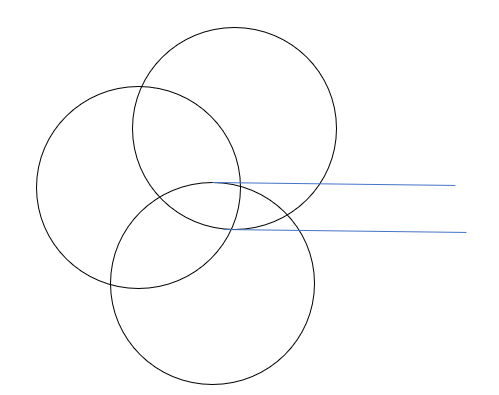 How can I find the points at which two circles intersect? Find the radius of three identical circles which touch each other externally.